The Feminist Media Studio is pleased to announce that Professor Kalindi Vora will hold a seminar with interested faculty members and graduate students on her book Life Support: Biocapital and the New History of Outsourced Labor on Monday, April 18th from 12:00 – 2:00 PM (Loyola campus, CJ 2.130). Those interested in participating should RSVP to Katerina Symes (katerina.symes@nullconcordia.ca). In preparation for the seminar, participants will be required to read the introductory chapter of Professor Vora’s book, as well as one chapter of their choosing. (The book is listed as an electronic resource at the Concordia University library). Professor Vora’s research thinks through how biological bodies have become a new kind of global biocapital, extending historical legacies of colonial labor practices. It examines how forms of labor serve to support life in the United States at the expense of the lives of people in India. Focusing on several case studies of outsourced work, it exposes the ways in which seemingly inalienable aspects of human life such as care, love, and trust—as well as biological bodies and organs—are not only commodifiable entities but also components essential to contemporary capitalism. It asks, How do forms of transnational gendered reproductive labors of care, nurture, and even biological reproductivity (such as in transnational surrogacy and reproductive services) provide an opportunity to look at historical legacies of gender and labor that have been theorized through the lens of Ethnic Studies, while calling for a new and relational understanding of the political potential in how subjects disrupt their geographies and the affective roles assigned to them through capitalist social relations? Kalindi Vora is Associate Professor of Ethnic Studies and affiliate faculty of the Science Studies and Critical Gender Studies Programs. Her book, Life Support: Biocapital and the New History of Outsourced Labor (2015), examines domestic work, customer care, and the commodification of human organs, gestational surrogacy and knowledge work as representing a global economy of vitality that relies on affective and biological labor of feminized workers. She is currently working on a book project, titled, Experimental Sociality, about the social and political implications of transnational surrogacy. 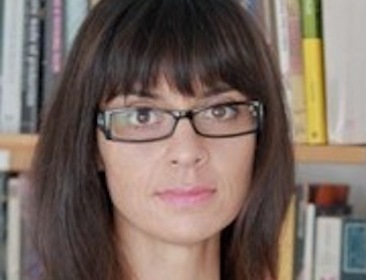 She is also completing a co-authored book project in collaboration with Neda Atanasoski (UCSC), entitled Surrogate Humanity, which highlights how the seemingly novel frontiers between human and machine elaborate much older discourses of humanization and dehumanization, and of human difference and its transcendence. Her areas of research focus include gendered labor and globalization, science and technology studies, critical race studies, posthumanism and new materialisms, South Asian area/diaspora studies, and postcolonial theory. Her publications appear in journals including Current Anthropology, The South Atlantic Quarterly, Somatechnics, Ethnos: Journal of Anthropology, Postmodern Culture, and Catalyst: Feminism, Theory, Technoscience.